Some of the first advice people receive when entering recovery is to develop new, healthy habits. In addition to eating right and exercising, they are told to get plenty of sleep. Unfortunately, insomnia is a common struggle people face when they initially stop using alcohol and other drugs. In a proverbial “chicken or the egg” scenario, PsychCentral notes that there are not only studies showing that people who are new to recovery are more likely to suffer from sleep disturbances, but also that people who suffer from sleep disturbances are statistically more likely to develop substance use disorders. The PsychCentral article also points out that people who are addicted to alcohol are particularly likely to try to self-medicate at night, in order to try to get to sleep. This is counterproductive, however, as alcohol interferes with healthy sleep cycles. According to an article in Psychology Today, entitled 5 Essential Strategies for Insomnia, regardless of the underlying cause of insomnia, it is often due to a disrupted circadian rhythm. In simple terms, this means the brain is no longer responding to the concept of night time being time to sleep and day time being time for alertness. Other than the issues listed above, there are bigger potential consequences of insomnia for a person new to recovery. In a report in the Journal of Addiction Medicine, the researchers report that insomnia for people in early recovery may be five times more common than in the general population. And it may persist for months to years. While insomnia experienced in early recovery is prevalent, persistent, and may predict relapse, there are strategies that can help. Professionals have mixed views on how helpful sleep medications are in treating recovery related sleep disruptions, especially in light of the risk for misuse of or addiction to sleep medications. An exception to this is a low dose of melatonin. However, it is important, even with melatonin, to ensure that the directions are followed and not too much is taken. Instead of medications, the journal article points to therapy, specifically Cognitive-Behavioral Therapy (CBT), as the best solution for sleep disruptions resulting from being in recovery from substance abuse. All of this is done with the end goal of helping the brain to associate the bed with sleep and to train it to enter a sleeping state when in bed. If there is a need to use electronics shortly before bedtime, the Psychology Today article suggests the use of blue light blocking glasses at night, as this is the sort of light that tells people to be wakeful and is given off by phones, computers, and televisions. Because many people turn to substances as a way to self-medicate mental health needs, it is also important to consider if the insomnia being experienced could be a mental health symptom. If so, the insomnia may resolve itself with proper treatment of the related mental health condition. 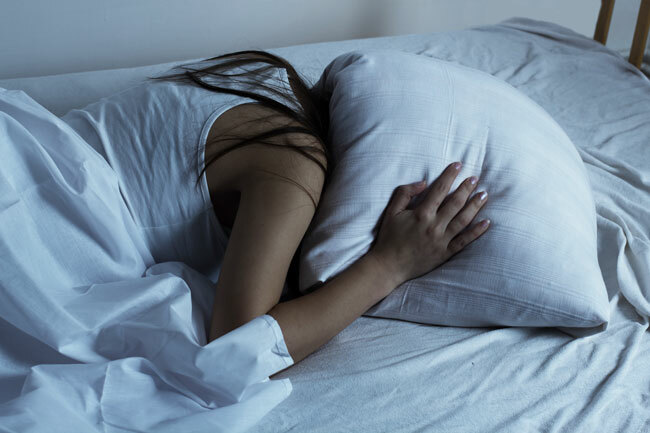 Mental health diagnoses that are often accompanied by sleep issues include depression, anxiety, bipolar personality disorder, and post-traumatic stress disorder (PTSD), according to SAMHSA. A final piece of advice from the Psychology Today article is to consume an ounce or so of protein before bed, as the sleep disturbance could be the result of an unstable glucose level. Protein, which takes longer to process, can help glucose remain consistent throughout the night. The SAMHSA article indicates that it can be helpful, however, to avoid large meals or high volumes of fluid before bed time. Because insomnia is such a common struggle for people in recovery, there are online support groups where people can share ideas for addressing sleep disturbances. SupportGroups.com hosts one such group for people in recovery who are dealing with insomnia. While there are no guaranteed ways to immediately fix insomnia, there are many bad habits people may not realize are contributing to their sleep problems and also good habits a person can practice that are more likely to resolve the issue. It is a good idea to try the positive habits for at least a few days before deciding if they will or won’t work in a specific case. 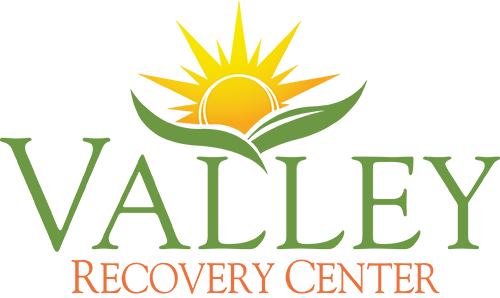 Valley Recovery Center’s aftercare planning process includes help finding ways to deal with insomnia and other concerns related to your ongoing recovery journey. We are fully committed to providing the help you need to sustain long term sobriety. For more information about programs offered at Valley Recovery Center, including our outpatient program in Fresno CA, please call us today at (888) 989-9690.